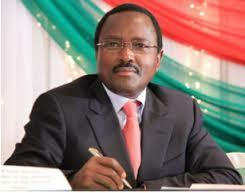 Kenya’s former Vice President and the current CORD’s co-principal Kalonzo Musyoka’s chopper has been involved in an accident in Tanzania. On Thursday last week, it was reported that a prominent Kenyan’s helicopter had crashed in the middle of Selous Game Reserve in Tanzania killing all its four occupants. Amongst the four was an outspoken parliamentary aspirant for the CCM party Mr. Deo Filikunjombe. It has now been revealed that the chopper, a Eurocopter AS 350B3 Écureuil belonged to CORD leader Kalonzo Musyoka. The former VP bought the chopper in 2013 for the general elections then and has since been chartering it to clients. The plane itself is quite pricey with the purchase and assembly cost rising to well over 300 million. Investigations are now still going on to establish the cause of the accident which saw the chopper damaged beyond repair. Aside from the parliamentary aspirant, his campaign team members and the pilot all lost their lives.